This week Rebecca Rebouche has been IG-ing some great Valentine-related-but-not-cloying images. I was so inspired, I decided to pull together a few romance-driven finds. First are these black and white arrows by Stacey Bradley of PerlaAnne. 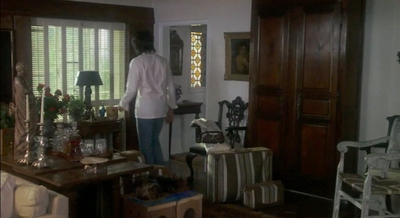 You can take a look back at her Charleston studio (also kind of romantic) here. Zak Profera's take on romance is, not surprisingly, masculine, very tactile, and tinged with mystery. 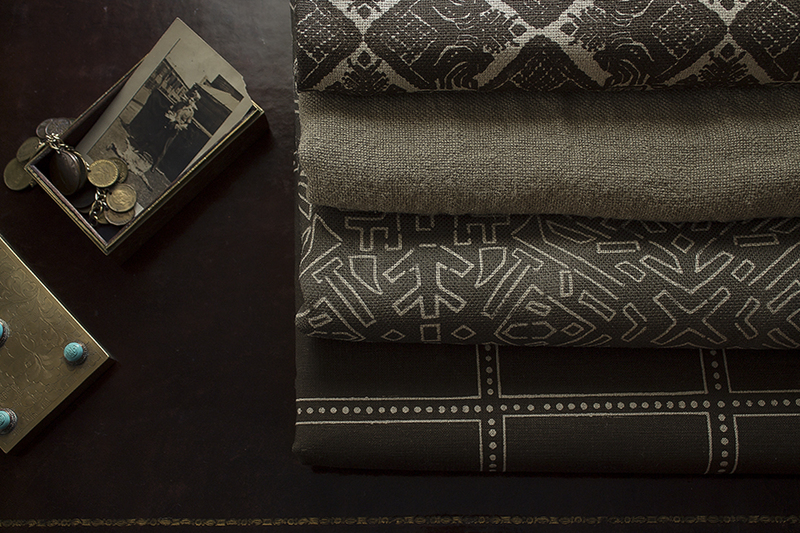 For February he photographed his existing textile collection in a new light. I especially like the texture of linen up against leather and hints of metal. The faded blacks, whites and grays of the anonymous old snapshot with a man and wild birds (Zak's flea market find) are echoed by his stacked fabrics in umbers and grays: specifically Volubilis in umber; Kaya in eski; Katagami in smoke; and Postage in umber. (He told me that he chose these fabrics to contrast because Volubilis and Katagami are both thick weaves while Kaya is airier and Postage is a bit slick, almost like oilcloth.) Who knows what's in the brass box with terrific punches of turquoise. Someone is sifting through mementos. It doesn't get much more romantic than the loose, unforced, achingly beautiful arrangements created by Nicolette Owen and Sarah Ryhanen. Their collaboration, the traveling Little Flower School, has a brand new website. 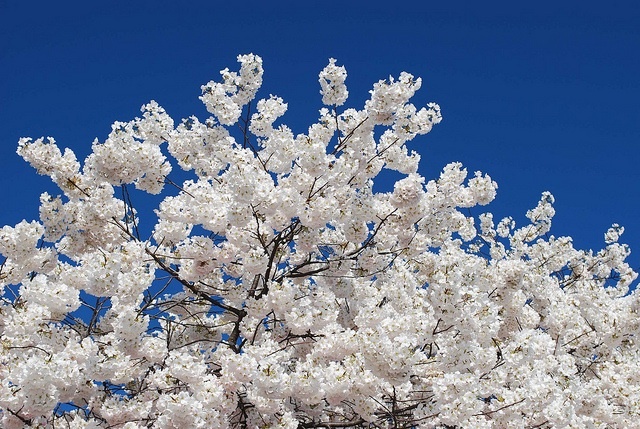 Of course it's gorgeous and overflowing with inspirational images. 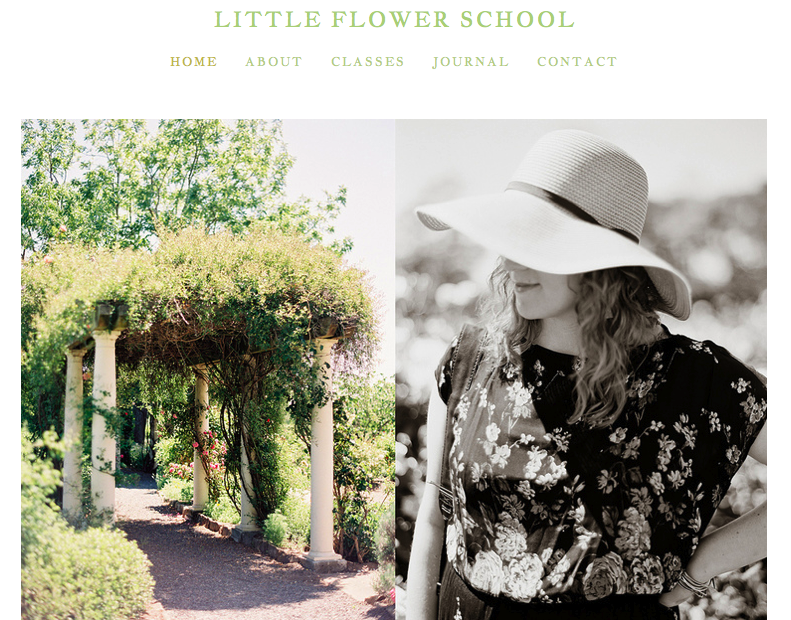 Perusing the site, you can easily find out what classes are on the horizon, see past destinations, and stumble across a tutorial or two. Don't forget another creative collaboration, Meringue from Jennifer Evans Gardner and Linda K. Jackson. 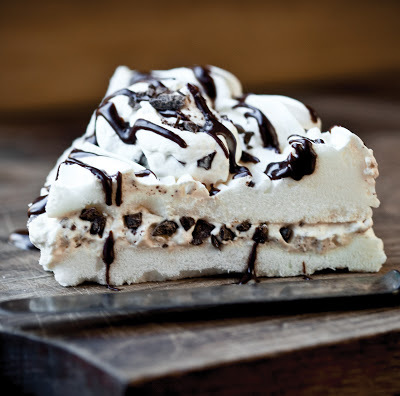 Their book is filled with sweets that are special enough for Valentine's yet not fussy. 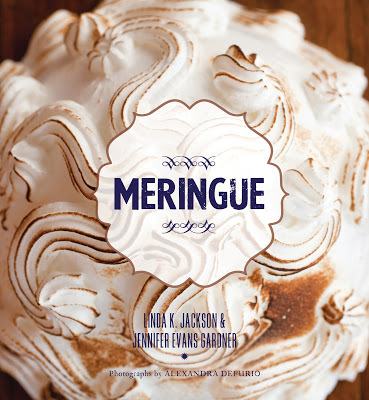 And speaking of food, Mexican-themed cookbooks are among the items hitting the High's gift shop as part of Fridamania. 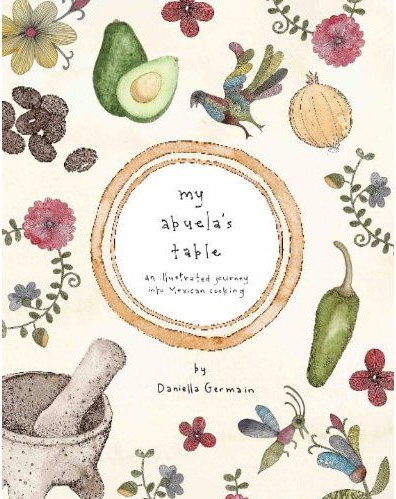 Two examples are Frida's Fiestas: Recipes and Reminiscences of Life with Frida Kahlo and My Abuela's Table. 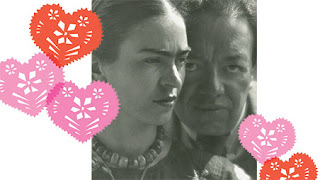 Frida and Diego: Passion, Politics, and Painting opens in exactly two weeks. Latest details on the Valentine's night premiere here. Frida and Diego image via the High. Photo of museum my own. 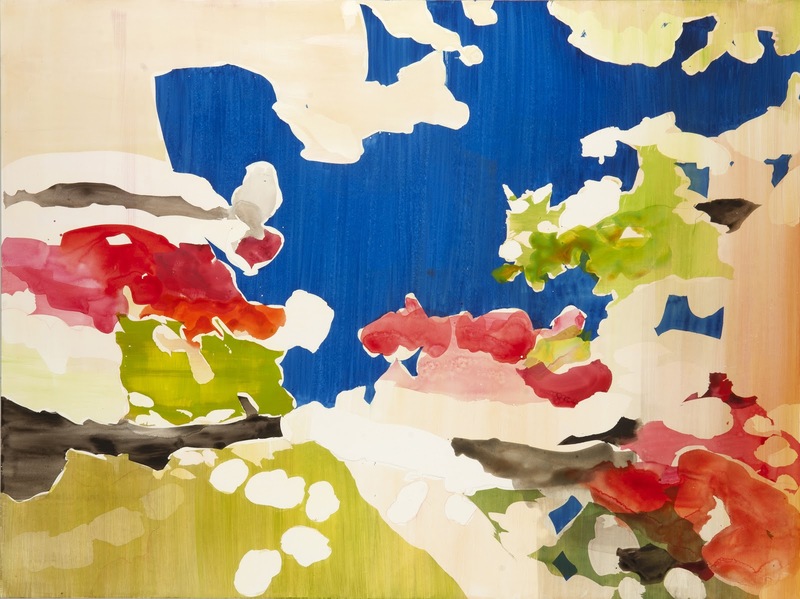 With her past landscapes, Annie Kammerer Butrus has concentrated on ever-evolving Southern farmlands and pop-up suburban sites. Now she's turning her focus to a broad range of gardens from the most meager shrub to grand estates. 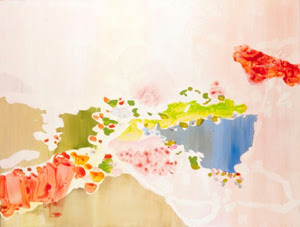 Inspiration for her Sublime Dogwood series comes from Jasmine Hill, outside of Montgomery, Alabama. 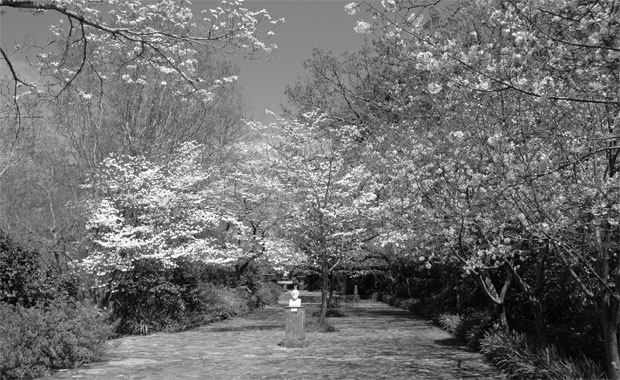 Started in 1928 by Benjamin and Mary Fitzpatrick, Jasmine Hill encompasses twenty acres near the Southernmost edge of Appalachia. Today it's open to the public. 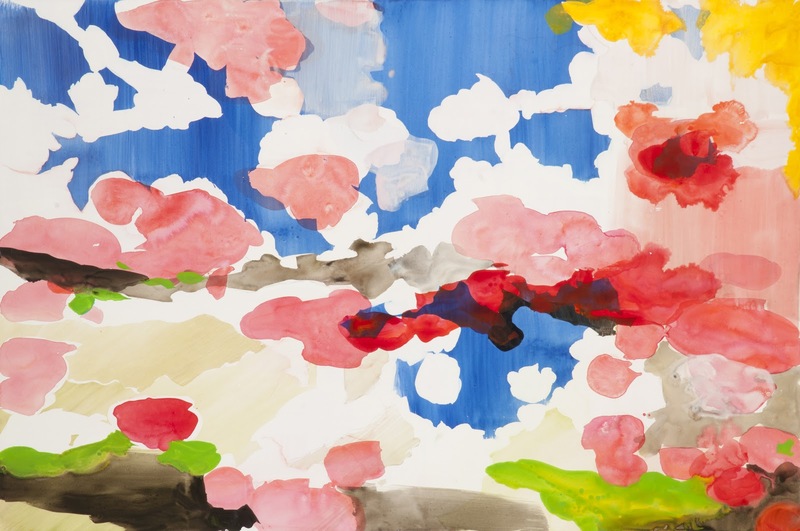 Butrus says her pictures are intentionally disorientating and render uncanny sky, blossoms and branches. 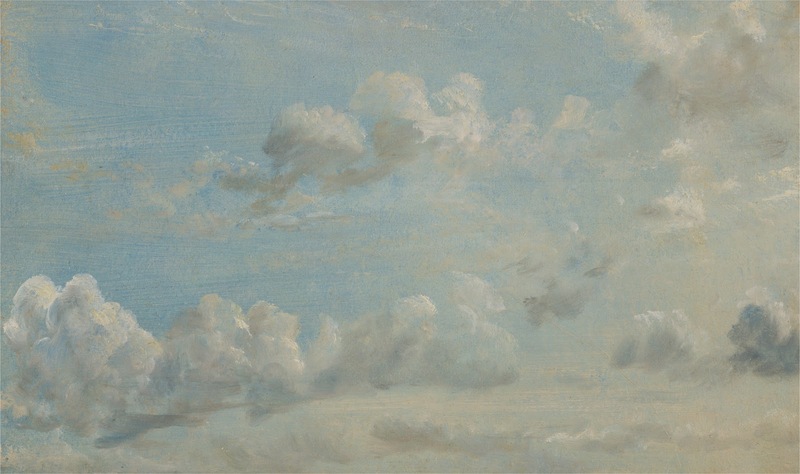 "The solid, constant sky, watery blossoms and shadowy branches are each painted in a distinct manner – imparting meaning to each element. This series will deal with the sublime in the everyday and the transcendence made possible by meditating on the simplest flowering branch," she shared in her artist statement. Historic influences for this new body of work come from Matisse’s cut-outs, Constables’ obsession with clouds, and O’Keefe’s Sky Above Clouds IV. For the annual Spotlight on Art market (a huge showcase for nearly 350 diverse artists ranging from established professionals represented in museums to emerging talents) Butrus told me she is bringing Sublime Dogwood I and II. FYI, the Market is free and open to the public from February 4 to February 9. Expect to see fine art, sculpture, and craft -- ceramics, jewelry, basketry, pillows, rugs and more. 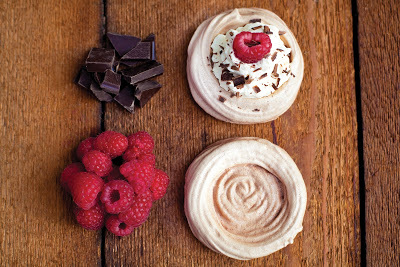 This major fundraiser benefits Trinity School scholarship funds and a local nonprofit chosen by the institution (last year Sheltering Arms was designated). In addition to Butrus, another 2013 participating SC fave is Jenny Henley. Past participants include Radcliffe Bailey, Gregor Turk and Thornton Dial. She may not be a household name outside the museum realm, but Stella Kramrisch's life is screenplay-worthy. She's best known as a pioneering professor, curator and collector of Indian art -- particularly the once lesser-appreciated "folk" and regional pieces, like exquisitely embroidered kanthas from Bengal. 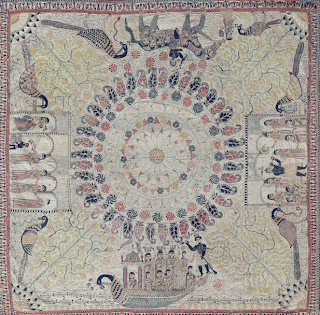 Born in Moravia in 1896, young Kramrisch's first foray into the arts was with classical ballet; the attraction to Indian culture began at a local Viennese museum when an artifact caught her eye. At sixteen she entered the University of Vienna, saw Gustav Klimt at his zenith, soaked up everything she could about modern art, and eventually earned her doctorate. 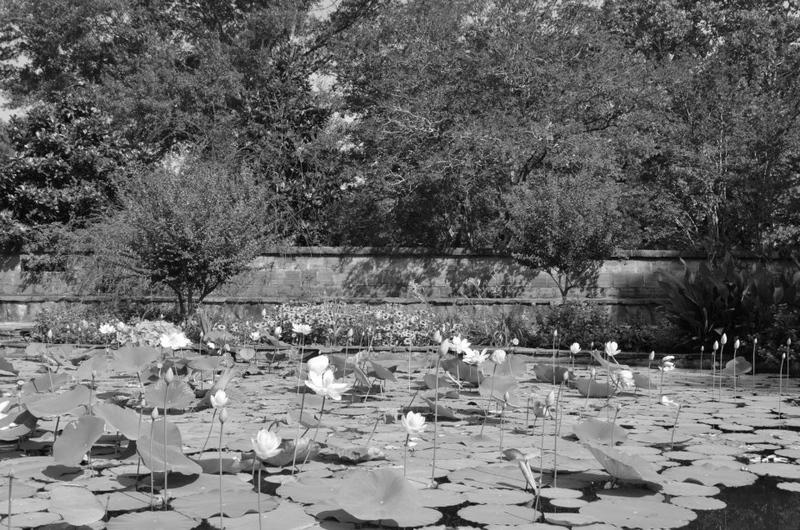 During the 1920s she traveled alone to India, became the first female faculty member hired by the University of Calcutta, and the first person formally trained in Art History to teach in India. 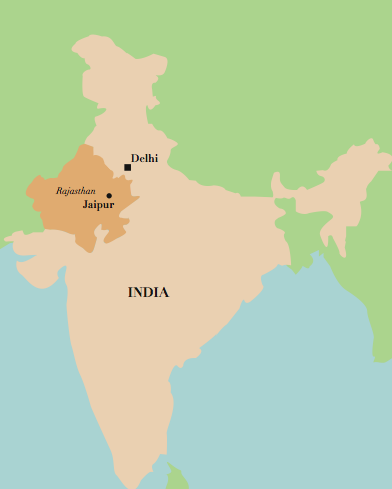 Decades later, as a widow, she left India for the States. In 1954, she became the Philadelphia Museum of Art's first curator of Indian Art. 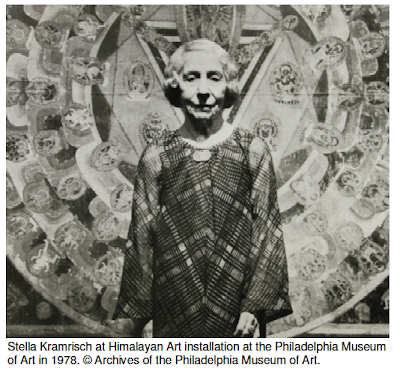 Kramrisch remained with the museum until her death at age 97, completely changing perceptions of Indian painting, sculpture, and textiles along the way. The exhibitions she organized were landmark events. Whether in her renovated farmhouse or city apartment, she was said to have flair to spare, mixing those colorful kanthas and other objects with neoclassical English antiques. India awarded her one of its highest civil honors, the Padma Bhushan. And to the PMA she bequeathed her massive collection, solidifying the museum's strength in the area of South Asian art. Again, the podcast really brings these textiles to life. 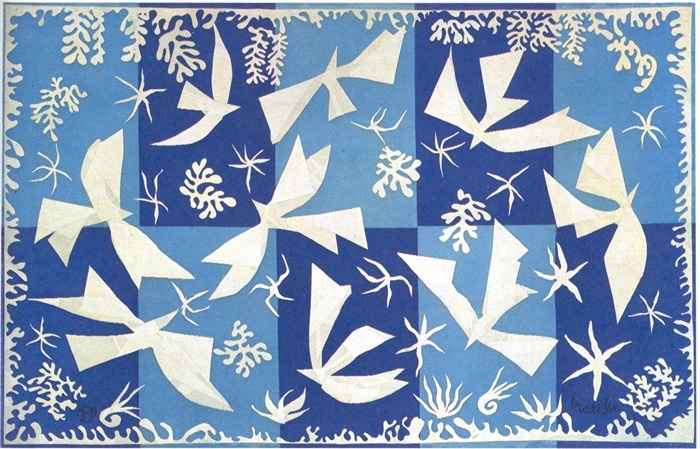 Think about iconic French Provencal prints. You know, small orderly rows of stylized leaves or flowers sometimes flanked by a wilder border. The kinds of colorful cottons associated with venerable Souleiado. 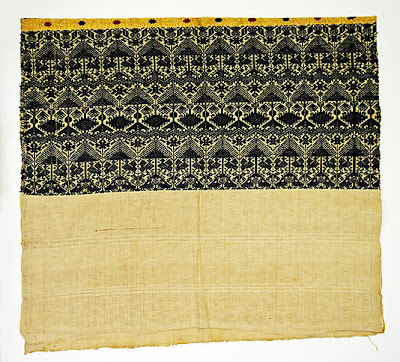 The ancestors of these textiles are actually Indian block prints -- imported cottons so popular in 17th century France that Louis XIV ultimately banned them in a move to save local textile manufacturers struggling to compete with the influx of Indian-made goods. By the next century, the French were successfully producing their own indiennes, a fusion of European and Asian styles. 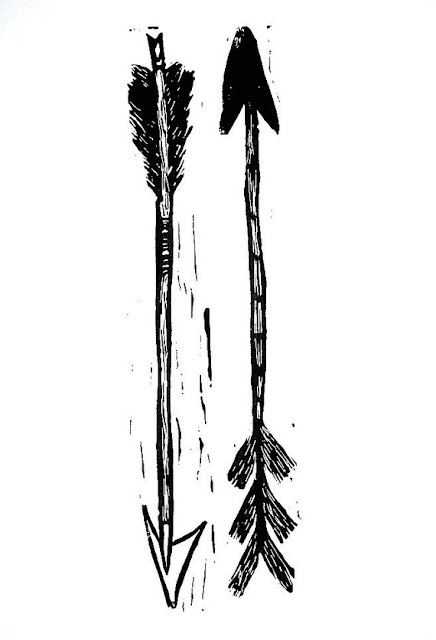 Lately I've been thinking about other intersections of French and Indian design. 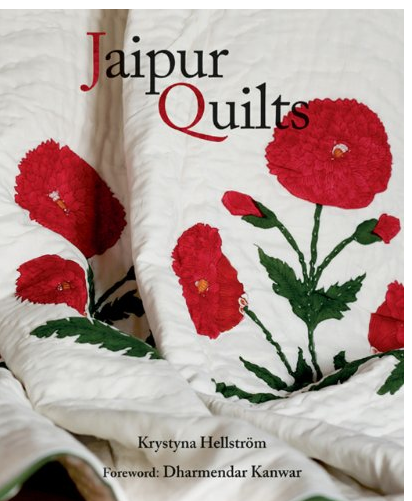 In her new book, Jaipur Quilts, Krystyna Hellstrom compares decoratively stitched French Provencal boutis (this example is Italian but very similar in style) to Indian covers. She also talks about French-born textile designer Brigitte Singh's synthesis of Mughal motifs and French aesthetics. 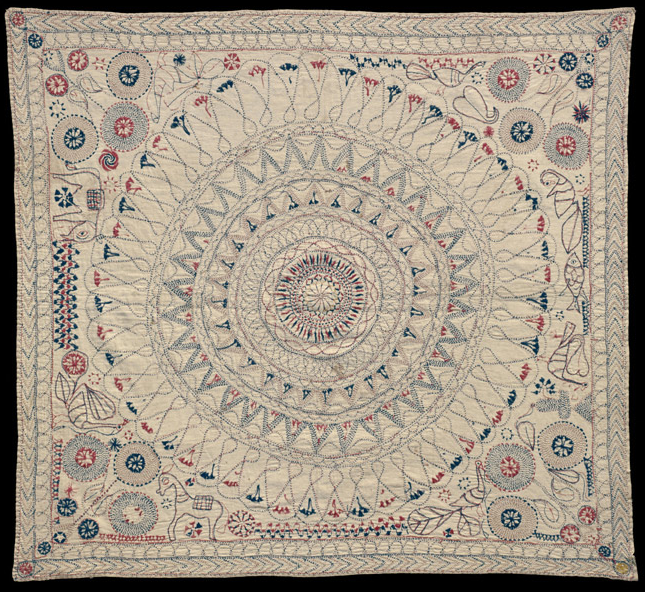 Writing for Selvedge, issue 24, Elizabeth Machin further describes Singh's interest in old Indian chintzes and their influence on early French Provencal prints: With all the Indian-inspired fabric produced in France and the abundance of French-taste cottons (typically looser red and indigo florals on a crisp white ground) made in India, points of origin can get confused. Basically Singh tells Selvedge that she's "consciously adding to the [centuries-old] confusion" by continuing the mix. My blurred-boundaries French-Indian find of the day is from the Philadelphia Museum of Art, shown at top: an antique woven Kashmiri shawl with chain stitch embroidery. 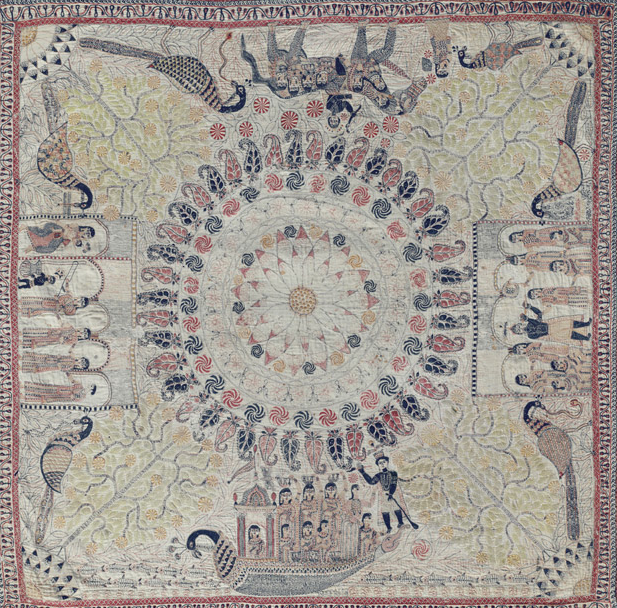 Clearly the trees, flowering plants and paisley motif feel Indian but the museum notes that there is "French-style drapery" surrounding an unusually bold spoked wheel in the center. 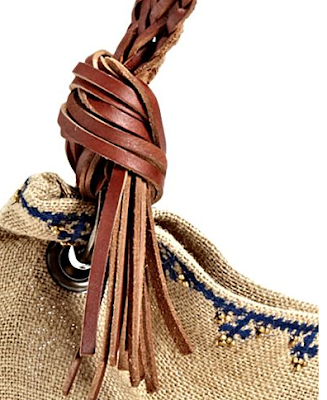 If you're a fan of rustic French style, take a glance at some Provencal sightings in Shampoo. I'm not sure if it's because textiles are literally lightweight, at least in comparison to say steel or lumber, but fabric is sometimes perceived to be a foofy subject. 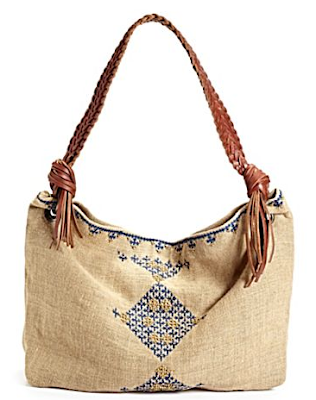 The reality, of course, is that textiles have sparked revolutions. 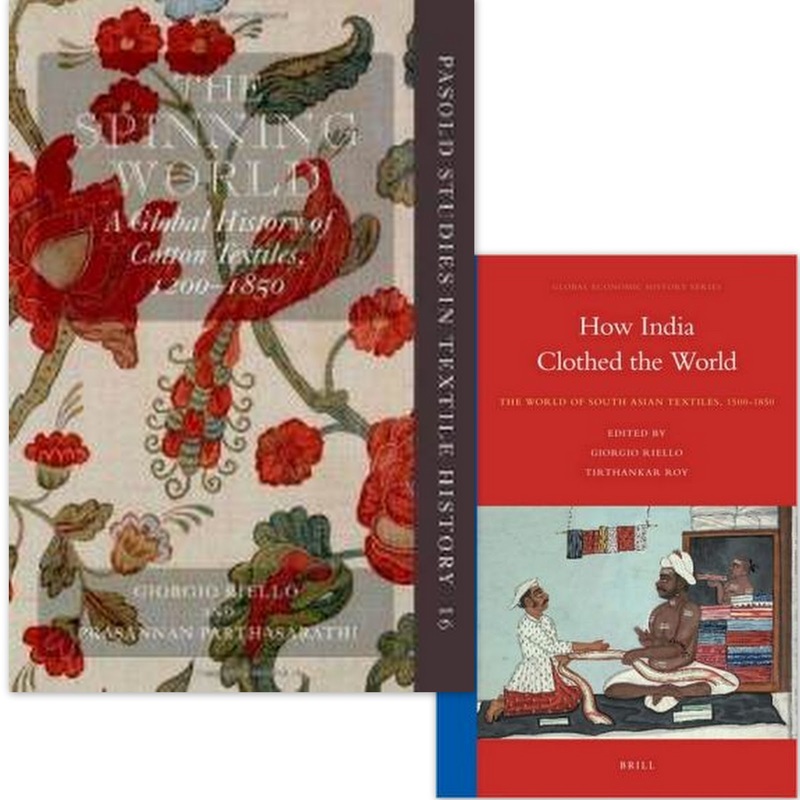 Cotton cloth, in particular, has completely reshaped the world economy. 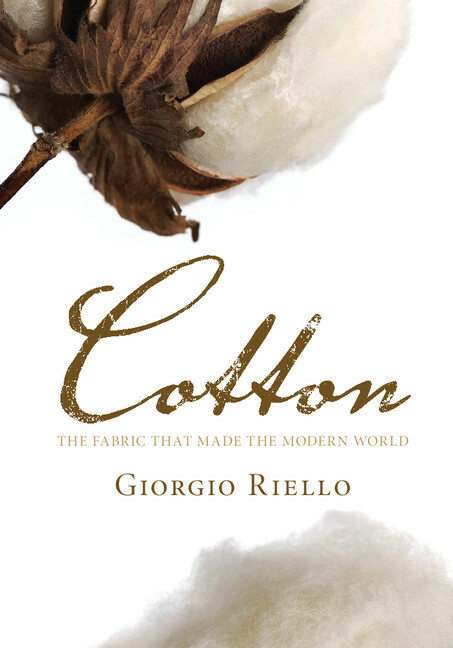 With international textile trade being such a hot topic today (Cambridge University Press reports the business is valued at $425 billion), Giorgio Riello is taking a look back at cotton's pivotal role during the past thousand years. His soon-to-be-released book, Cotton: The Fabric that Made the Modern World, delves into older forms of globalization. Emile de Bruijn recommended the book to me because Riello explores exoticism too (think aesthetic exchange and design mash-ups between East, West, and points in between). A professor at the University of Warwick, Riello has been widely published on many material-culture-related topics including shoes, design history, and again the cotton trade. 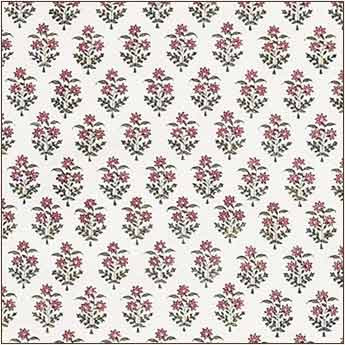 He's also done a series of podcasts; in this one he and Rosemary Crill discuss chintz. Check it out while we wait for the latest book to hit store shelves. 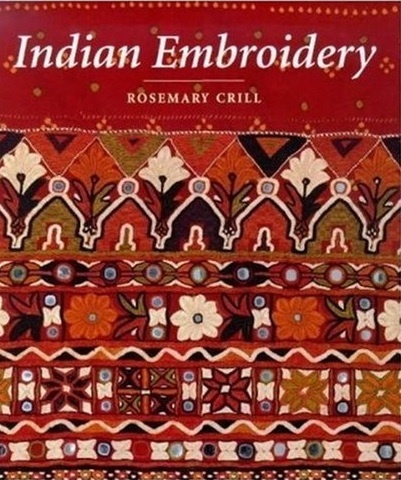 Here's a short follow up to the follow up: Indian Embroidery by the V & A's Rosemary Crill. 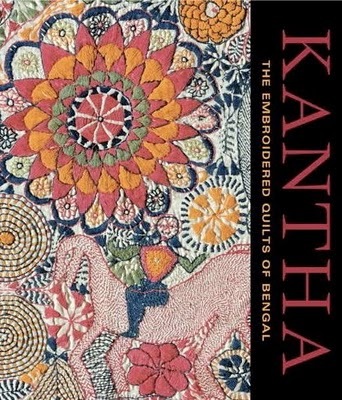 If you're drawn to the needlework mentioned in the previous post, this is a great book to explore. 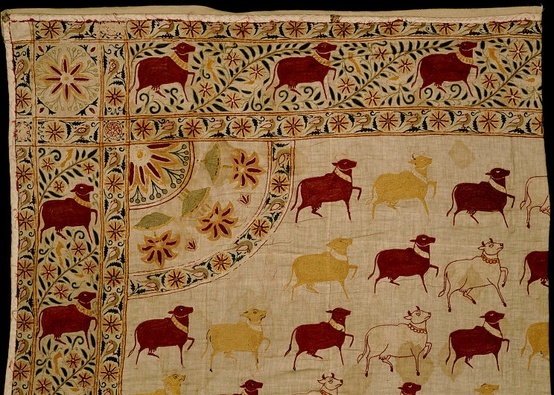 Among the pages you'll find examples of Kutch embroidery like this lively late-19th-century cotton cloth with rows of yellow, cream and crimson silk cows (note the intricate triple border with more yellow, red, and two shades of green). 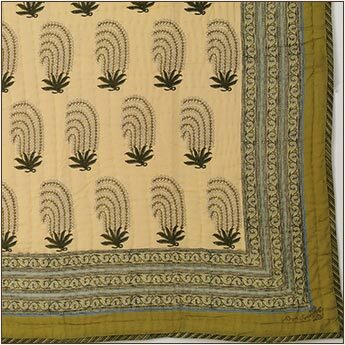 But you will also see different styles including shisha (or mirror work) from Kutch and embroidery from other regions of India, encompassing formal court florals and folk designs. 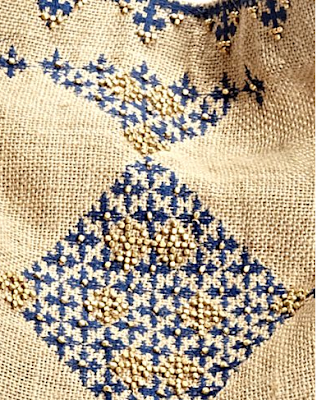 You already know that Carolina Irving and Lisa Fine love Kutch embroidery. The refined Indian stitches are the signature element on their jackets, dresses and tunics. 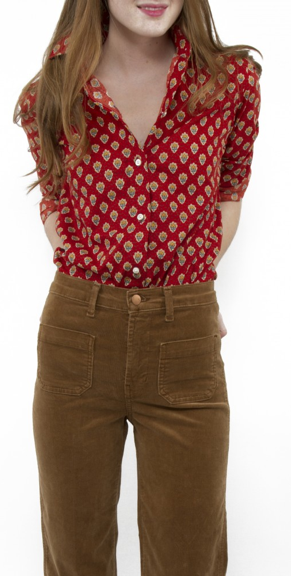 And soon, with their collection for Lucky debuting next week, we'll see more globally-inspired needlework. Following up on the Fridamania post, Lisa shared with me that she and Carolina are both fans of Mexican embroidery too. So be on the lookout for I & F for Lucky summer shirts with a little touch of Mexico. 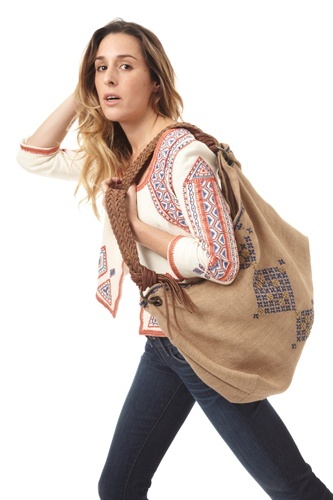 Right now, you can take a peek at their beaded jacket and burlap bag, above (yes, an Irving and Fine for Lucky bag!) 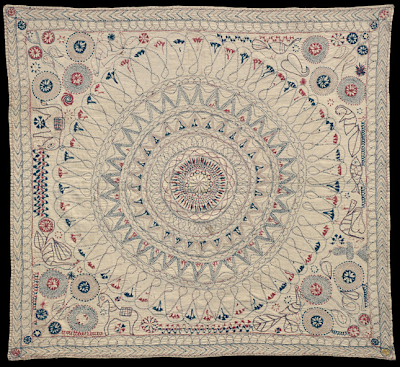 or pop over to the V & A to see examples of antique Kutch embroidery. I'll update with more specific Lucky links as soon as I have them. I've been looking back at stylist Sibella Court's lush nod to artist Frida Kahlo. 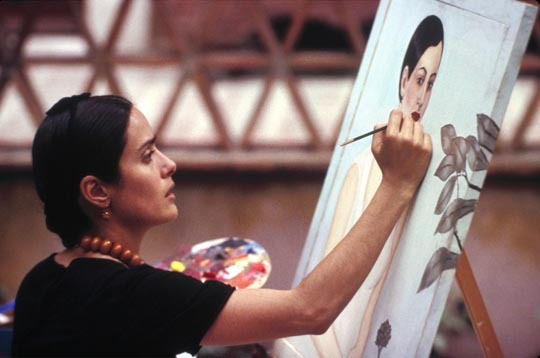 Not that the fiercely independent Kahlo's diminutive yet complex paintings and personal style haven't long been a source of inspiration for many designers, stylists and other creatives -- even more so since Salma Hayek's 2002 portrayal -- but Court really emphasized the painter's interest in Mexican folk textiles as well as her local flora and fauna. Revisiting the Mexican section in Court's book along with the PBS microsite for The Life and Times of Frida Kahlo (plus searching for Mexican embroidery) are just some of the random ways I'm gearing up for the latest Frida-related show. On Valentine's Day, Frida & Diego: Passion, Politics and Painting opens at the High. The Atlanta museum will be the only U.S. venue for this exhibition, which is coming here following it's run at the Art Gallery of Ontario. 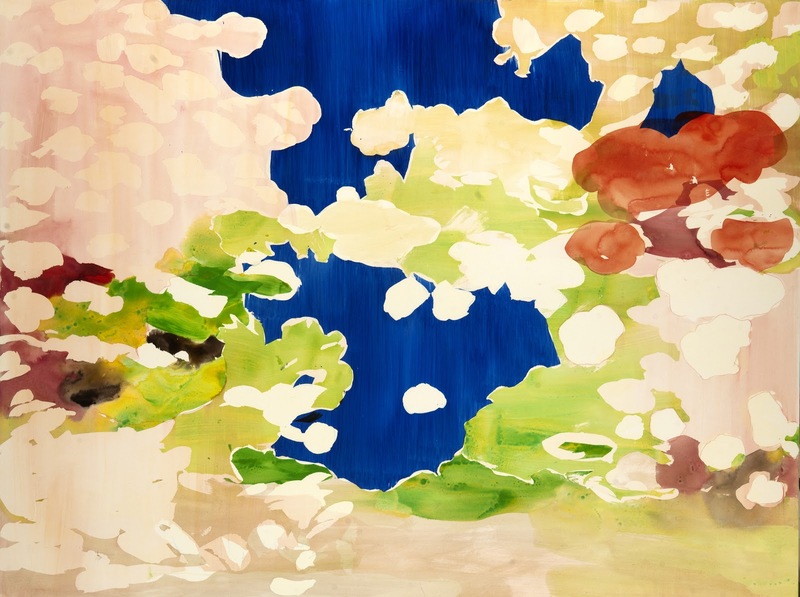 Including more than 60 photographs of the couple and over 80 of their paintings and works on paper, this show delves into the ways their turbulent relationship as well as homeland, post-revolutionary Mexico, influenced their careers (or vice versa). 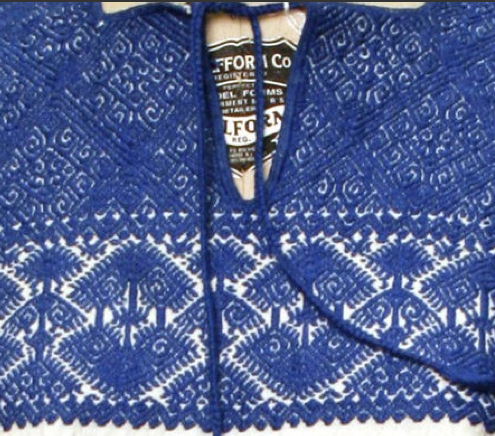 In case you missed it, the Museo Frida Kahlo recently uncovered a trove of the artist's iconic clothes, shoes and other personal items -- I believe 300 pieces in all -- hidden away at the famous Casa Azul. 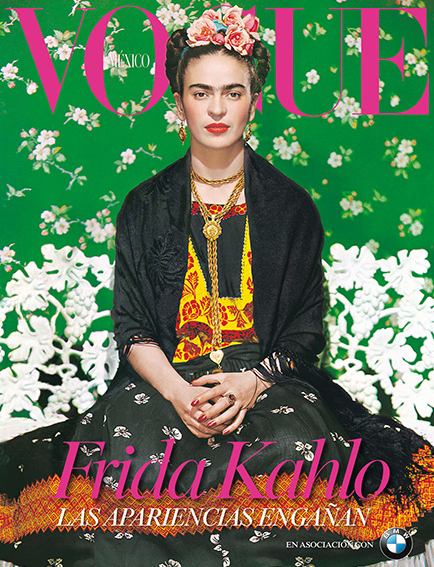 Partnering with Vogue Mexico, the museum organized Appearances Can Be Deceiving: The Dresses of Frida Kahlo. See related video here. Other past Frida fashion and textile exhibitions are mentioned here. 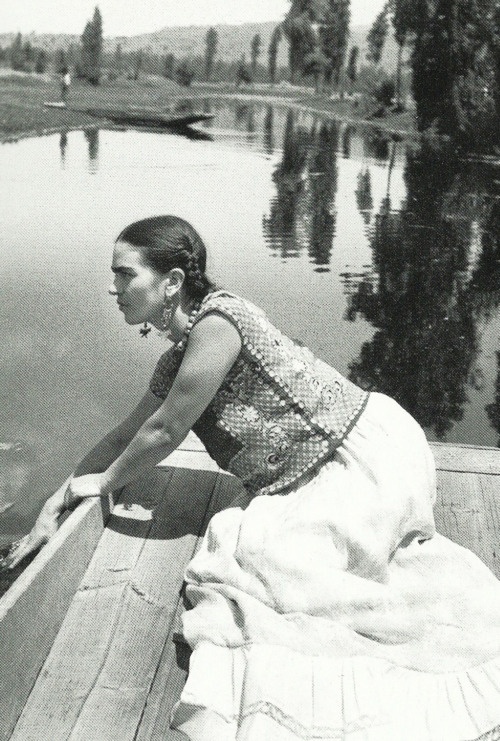 And there's a podcast with Frida biographer, Hayden Herrera, here. 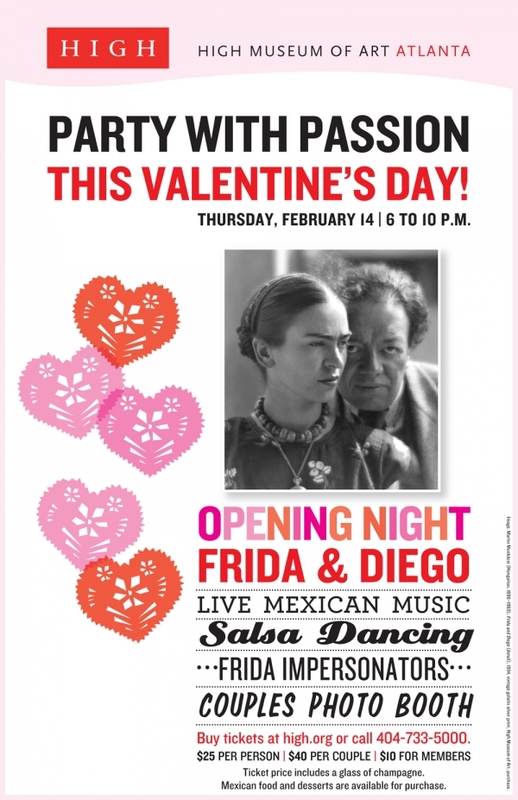 I think all the details of the High's Valentine's night event (complete with Frida impersonators as you can see) are legible above, but for more info or to get tickets, click here.